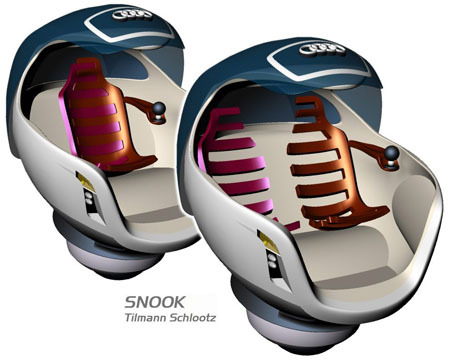 The Audi Snook one-wheeled concept car sounds, to some of my readers, just like the gyrocar from The Ring, the 1969 novel by Piers Anthony and Robert Margroff. Frankly, the novel has more details than the vehicle concept design. 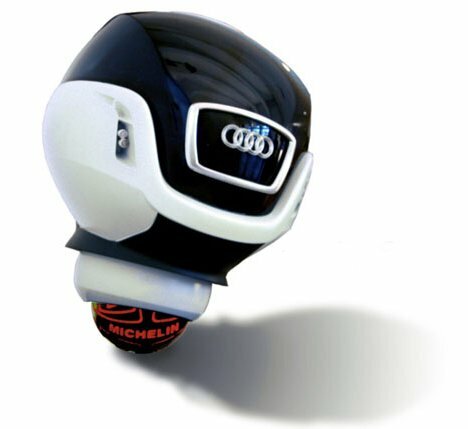 The Audi Snook would travel about on just one single ball wheel, driven by a multi-directional engine. The car would be auto-stabilized. Concept inventor Tilmann Schootz relies on pure fiction to make it work; he says it achieves "“agility through instability, controlled by artificial intelligence." I think Anthony and Margroff, writing nearly forty years ago, did a more thorough job of describing how much fun it would be to drive. Jeff braked instinctively, but... only the naked supporting girder remained. He was going over the edge! 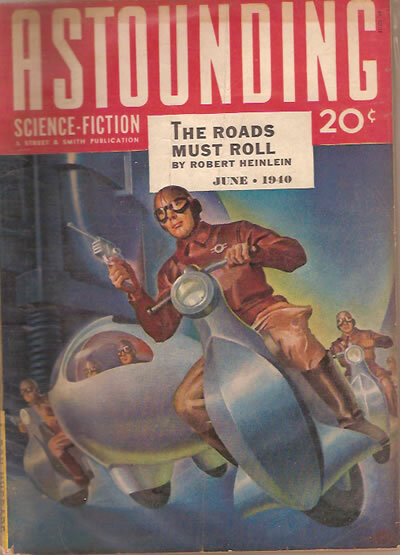 Update 18-Apr-2008 I thought I'd also throw in this picture of the (as far as I know) original gyroscopically balanced one-wheeled vehicle - the tumblebug from Robert Heinlein's 1940 story The Roads Must Roll. And, so you can compare styling, here's what the artist thought in 1940. Via Audi Snook Futuristic Car Concept. Thanks to the indefatigable Moira for the tip on this story.